WeatherTech custom fit no drill splash guards and mud flaps for the front and rear of your pickup truck or SUV fit perfectly. 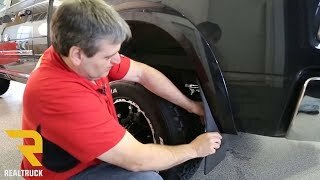 These DigitalFit splash guards are simple to install and look OE. Is it time to replace your old mud flaps or are you just looking for better protection? Either way it is time to give your vehicle a break! Mud, dirt, and other debris can harm your vehicles exterior paint finish and if you have damage or just want to add protection before it begins, WeatherTech has a solution for you. These are the ultimate splash guards for your ride. Most WeatherTech no-drill molded mud flaps offer the amazing "QuickTurn" hardened stainless steel fastening system. This fastening system makes for a fast and easy mounting process. Molded from proprietary thermoplastic resin, these mud flaps will stand up against the harshest environments and weather conditions out there. 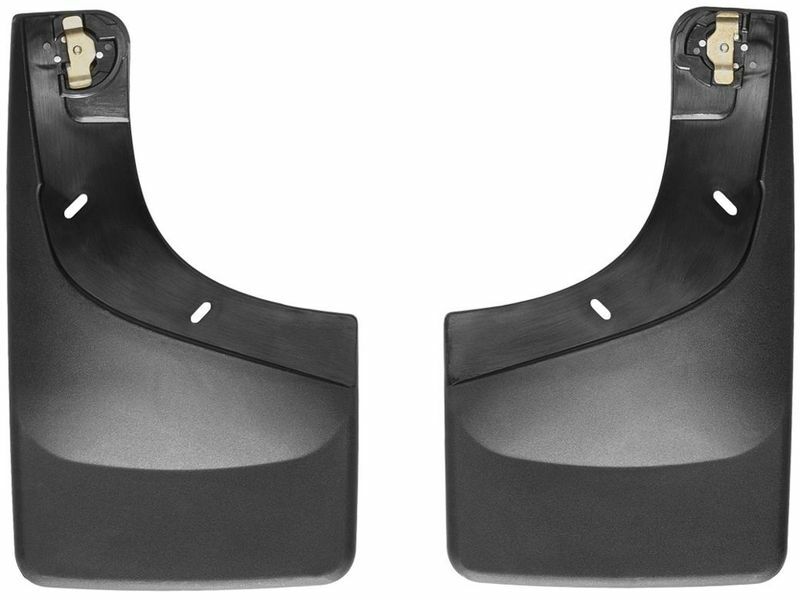 These no-drill mud flaps are available in front and rear sets, giving you the option for full vehicle protection. The WeatherTech molded no drill mud flaps are contoured specifically for each vehicle application, ensuring a perfect fit. They are designed to offer protection to your paint finish as well as passing traffic from flying debris. WeatherTech is offering a three-year warranty on the molded no drill mud flaps. If you have any questions please let us know at 877-216-5446. WeatherTech mud flaps have a patented QuickTurn fastening system that allows their molded mud flaps to be installed without any drilling. If you have any questions or would like more information, feel free to give us a call, there's a customer service rep just waiting to hear from you!